The islands of the Svalbard Archipelago are conformed by mountain ranges with sharp gullies and fjords. Vegetation is little, with large areas of completely bare soil. There are moss and lichens, even flowers, but you won’t find trees there. Nearly two thirds of the archipelago are hidden underneath the ice. There aren’t roads or paths between the settlements: Longyearbyen, Ny Alesund, Barentsburg and Pyramiden. These four towns could be on a list of the most inhospitables places to live in the earth. 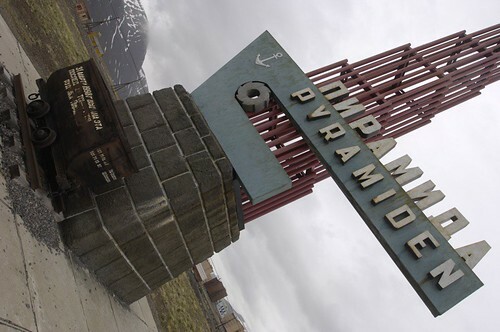 Sweden sold Pyramiden to the USSR in 1926. It never was a big town, and while at its height didn’t overcome the 1.000 inhabitants. It was a mineering community built like a soviet town. As a result, it was an strange and incongruous place, a product of the industrial revolution in the Arctic. Despite the town was quite little, it had a sport center, a library, a hotel, a school, and the northern Lenin Statue too. With the USSR collapse, the mining settlement of Svalbard was not sustainable anymore, and the decision of leaving the place came sudddenly. One day the inhabitants of Svalbard were told they only had a few hours to pack all their things before being moved. So the books remained in the shelves of the library, the flower pots in the windows… desert buildings witnesses to the passing of time. 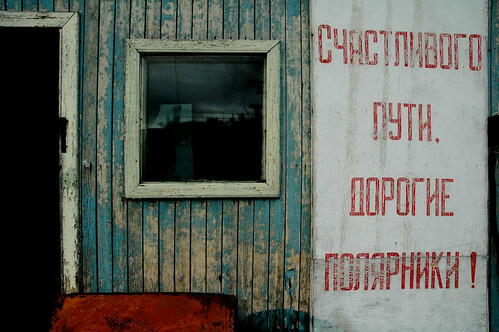 Today only some casual visitors rarely set foot in Pyramiden.